One hundred years ago last week, Woodrow Wilson signed the bill that established Grand Canyon National Park. Back then, we knew it was an unparalleled natural wonder. Today, we know it displays nearly two billion years of Earth's history in its rock layers, and we are coming to a better understanding of how the Colorado River carved this magnificent gorge. There are endless stories within these canyon walls, both scientific and human, and we've only just begun telling them. Since its creation, Grand Canyon National Park has grown into a thriving tourist attraction. It has preserved some of the most important archeological sites in the Southwest, protected natural habitat from human encroachment, and provided generations of scientists inspiration and work. This next hundred years will be our opportunity to expand our understanding, and to work in greater harmony with the native peoples who call those lands home and still consider them sacred. If you get a chance to visit, I highly recommend it. There is nothing quite like standing on the rim of that vast chasm, looking down and across at a layer cake of red and white rocks, carved into fantastic shapes by water, wind, and gravity. And as you look down, consider that you are looking at some of the oldest and newest rocks exposed on the planet. It's indescribable. This year, I'll be writing more about the geology of the Grand Canyon, and sharing some tips from my decades of visits. For today, let me present you with a set of books and documentaries that will help you explore one of the most remarkable geologic sites on Earth. 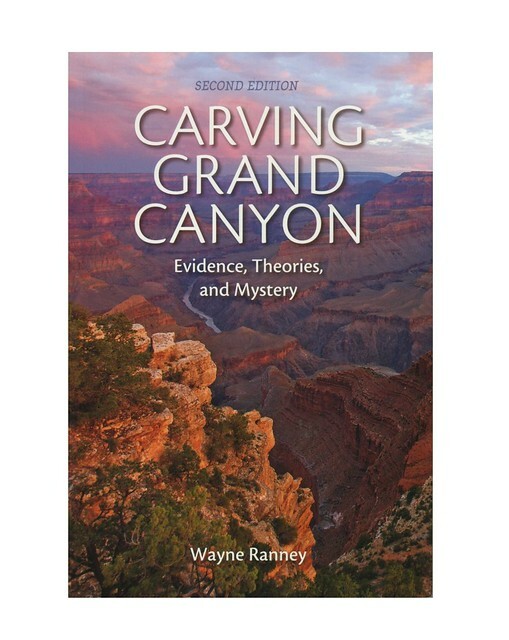 If there's only one book you ever get on the Grand Canyon, let it be Carving Grand Canyon: Evidence, Theories, and Mystery by Wayne Ranney. This is the best overview of Grand Canyon geology I've ever found – and keep in mind that my curiosity about geology was first sparked by learning how old the rocks at the bottom were, way back when I was but a fresh-faced teenager working at Page, Arizona's biggest bookstore. Wayne explains the current consensus clearly, and provides plenty of photos and diagrams to help you understand what the rocks say and how we think the Colorado managed to carve out so much of them. When you're ready to learn more about the geologic context of Grand Canyon and its surroundings, run don't walk to pick up Ancient Landscapes of the Colorado Plateau by Ron Blakey and Wayne Ranney. Ron's paleomaps make you feel like you're exploring hundreds of millions of years with the latest maps, and make it far easier to visualize the lay of the land and seas. You can see the topography of long-vanished landscapes. You can explore the shores of ancient seas. And Wayne's text explains what we know clearly and concisely. This book is a treasure. If you're going to visit Grand Canyon and intend to walk its many trails, definitely grab yourself a copy of Hiking Grand Canyon's Geology by Terri Cook and Lon Abbott. It's like having a geologist on hand, guiding you through the sites and helping you read the rocks. We all need to be more aware of the people who came before us, and those whose lives are still intimately intertwined with Grand Canyon and its surroundings. Start with An Introduction to Grand Canyon Prehistory by Sandra Scott. It's a short but good overview of the ancI Am the Grand Canyon: The Story of the Havasupai People by Stephen Hirstient and modern Native Americans who have lived here for countless generations. The Havasupai Reservation is nestled within the Grand Canyon. They have had to fight hard for recognition and their way of life. Learn more about them in I Am the Grand Canyon: The Story of the Havasupai People by Stephen Hirst. When I was a kid, we visited the Grand Canyon so many times I got sick of it. I wish I'd had this marvelous book, Grand Canyon by Jason Chin, to reignite my passion for it. This gorgeously-illustrated book for kids allows them to become time travelers, placing them in the living heart of ecosystems that thrived millions of years ago, revealed in the rocks and fossils of the canyon walls. With this book, no kid is going to be left saying, "We're going to that big hole in the ground again?" My partner and I watched two really neat Grand Canyon documentaries that are currently free on YouTube. Let's see the best first: National Geographic's Naked Science: Grand Canyon will introduce you personally to Wayne Ranney and Ron Blakey, show you how bread and cake can illustrate the carving of the canyon, and does a fantastic job explaining some pretty complicated geologic detective work. The one disappointment I had with it was that it didn't go into the volcanoes YES VOLCANOES of Grand Canyon. I mean, there were lava falls spilling down the steep canyon walls! Lava dams blocking the Colorado River and creating lakes on the canyon floor! You'll get all that at the end of How the Earth Was Made: The Grand Canyon. My main argument again this documentary is the number of times they repeat "featureless plain" in the early bits, and some of the science isn't explained as well as it is in the previous documentary, but it's still a really good watch, especially when you get to the volcanoes at the end. That should do to get you started! Join me again soon for up close and personal looks at the magnificent geology of the grandest canyon on Earth. Goodnight, Opportunity: So Long, and Thanks for All the Geology!